Welcome to Annexia: Pea is perfect! This is Miss Pea. 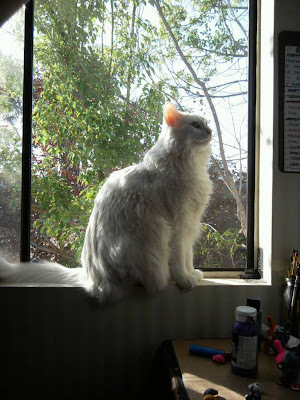 She likes to sit in the window of my studio and watch me paint... hope nobody gets cat hair in their art!